U.S. Shootdown of Syrian Plane, Russia’s Response; Oliver Stone’s 4-Part Interview of Putin; Europeans Express Displeasure at Latest Round of Sanctions on Russia; Comey Says NYT Article False, But NYT Still “Newspaper of Record”? In what is being characterized as an act sure to further escalate already alarming tensions between the United States, Syria, and Russia, an American fighter jet shot down a Syrian warplane over Raqqa on Sunday, prompting Moscow to cut off its deconfliction channel with the U.S.
“As of June 19 this year, the Defense Ministry of the Russian Federation has ended its interaction with the U.S. side under a memorandum for preventing incidents and providing for safe flights during operations in Syria and demands that the U.S. command carry out a careful investigation and report about its results and the measures taken,” a statement from Moscow reads. The shooting down of a Syrian Air Force jet in Syria’s airspace is a cynical violation of Syria’s sovereignty. The US’ repeated combat operations under the guise of ‘combating terrorism’ against the legitimate armed forces of a UN member-state are a flagrant violation of international law, in addition to being actual military aggression against the Syrian Arab Republic. The U.S. decision to shoot down the Syrian warplane—which, according to American officials, was retaliation against the plane’s bombing of nearby U.S.-backed ground troops—came “on the same day that Iran’s Revolutionary Guards Corps launched several midrange missiles from inside Iran at targets in Syria, hoping to punish Islamic State forces responsible for last week’s terrorist attacks in Tehran,” the New York Times reported. Since then, CNN has reported that the U.S. has also shot down an Iranian drone near At Tanf in Syria. “American-backed forces have begun an assault on Raqqa, the Islamic State’s hub in northern Syria, and signs are that they could capture the long-sought target with relative ease. Yet the militant group’s commanders, who have already withdrawn their toughest forces from the city, and most everyone else in Syria’s multifaceted war are looking ahead to an even more decisive battle in the south. There, a complex confrontation is unfolding, with far more geopolitical import and risk. The Islamic State is expected to make its last stand not in Raqqa but in an area that encompasses the borders with Iraq and Jordan and much of Syria’s modest oil reserves, making it important in stabilizing Syria and influencing its neighboring countries. Whoever lays claim to the sparsely populated area in this 21st-century version of the Great Game not only will take credit for seizing what is likely to be the Islamic State’s last patch of a territorial caliphate in Syria, but also will play an important role in determining Syria’s future and the postwar dynamics of the region. With the stakes so high, the United States, Iran and Russia are all scrambling for advantage. They are building up their forces and proxy fighters and, increasingly, engaging in inflammatory clashes that threaten to escalate into a larger conflict….. But why isn’t this in U.S. national interests? What’s wrong with a unified secular Syria that can begin to rebuild and repatriate refugees who have fled into Europe, destabilizing the Continent? What’s the big problem with “a Shiite arc of influence”? The Shiites aren’t a threat to the United States or the West. The principal terror groups – Al Qaeda and ISIS – spring from the extremist Saudi version of Sunni Islam, known as Wahhabism. I realize that Israel and Saudi Arabia took aim at Syria in part to shatter “the Shiite arc,” but we have seen the horrific consequences of that strategy. How has the chaos that the Syrian war has unleashed benefited U.S. national interests? And so what that Russia has a naval base on the Mediterranean Sea? That is no threat to the United States, either. So, rather than allow the Syrian government to restore some form of order across Syria, the neocons want the Trump administration to continue violating international law, which forbids military invasions of sovereign countries, and keep the bloodshed flowing. Beyond that, the neocons want the U.S. military to play chicken with the other nuclear-armed superpower on the assumption that Russia will back down. I’m still waiting for someone to explain to me how any of our interventions since WWII were really in the long-term interests of the average American. And I certainly can’t fathom how risking a nuclear war over Syria would be. But then, hey, maybe I’m the crazy one. Less than a day after the Senate overwhelmingly voted to impose new sanctions against the Kremlin, on Thursday Germany and Austria – two of Russia’s biggest energy clients in Europe – slammed the latest U.S. sanctions against Moscow, saying they could affect European businesses involved in piping in Russian natural gas. In their forceful appeal, the two officials urged the United States to back off from linking the situation in Ukraine to the question of who can sell gas to Europe. “Europe’s energy supply is a matter for Europe, and not for the United States of America,” Kern and Gabriel said. The reason why Europe is angry Some Eastern European countries, including Poland and Ukraine, fear the loss of transit revenue if Russian gas supplies don’t pass through their territory anymore once the new pipeline is built. In her usual Sphinx like way Merkel avoided making a statement herself. However her views have been made known by her spokesman Steffen Seibert in a briefing earlier todayThere is considerable assent to the contents of this statement. The chancellor shares fears listed in the text……the case in hand are sanctions for Russia’s steps but which affect European companies. It is inadmissible.Sigmar Gabriel, Germany’s Foreign Minister who issued the joint statement criticising the Senate’s sanctions with the foreign minister of Austria yesterday, is a member of the SPD, whose Martin Schulz is challenging Merkel in the parliamentary elections in the autumn. Gabriel moreover is known to be a strong supporter of close ties between Germany and Russia. There was therefore some doubt about whether yesterday’s statement reflected the united opinion of the whole German government or that of just Gabriel and the SPD.Seibert’s comment on Merkel’s behalf settles the issue, and makes it clear that yesterday’s statement does reflect the united opinion of the whole German government. To threaten companies from Germany, Austria and other European states with penalties on the U.S. market if they participate in natural gas projects such as Nord Stream 2 with Russia or finance them introduces a completely new and very negative quality into European-American relations.In other words, the Germans are willing to support sanctions against Russia provided they do not affect their economic interests. Since the Germans consider Nord Stream 2 to be essential to their economic interests, they are reacting furiously against what they perceive to be US threats to derail the project by threatening penalties on their companies. Does this mean that Europe may finally be getting a backbone when it comes to being led around by the nose by Washington when it’s against its own long-term interests? Time will tell. For instance, testifying before the Senate Intelligence Committee on June 8, former FBI Director James Comey cast doubt on a Feb. 14 New York Times report titled “Trump Campaign Aides Had Repeated Contacts With Russian Intelligence. On this past Monday, The Intercept – an outlet I normally admire for Glenn Greenwald and others’ feisty journalism and independence of mind – published what purported to be a bombshell about Russian interference in our recent presidential election via a cyber-attack of county-level election officials in the U.S.. At last, there was supposed to be some actual documentary evidence provided by a whistle-blower at the NSA. But within 24 hours, there had been much criticism of the article – the NSA document in question is an analysis and does not contain actual data or intelligence – as well as The Intercept’s sloppy methods in dealing with its source, who has already been arrested. The Intercept article is here and the reader comments are worth perusing as well. The “attack” by someone was standard spearfishing and some visual basic scripts to gain access to accounts of local election officials. Any minor criminal hacker uses similar means. No damage is mentioned in the NSA analysis. The elections were not compromised by this operation. The document notes explicitly (p.5) that the operation used some techniques that distinguish it from other known Russian military intelligence operations. It might have been done by someone else. The reporters note that the document does not provide any raw intelligence. It is an analysis based on totally unknown material. It does [not] include any evidence for the claims it makes. FBI search (pdf) and arrest warrant (pdf) applications unveil irresponsible behavior by the Intercept‘s reporters and editors which neglected all operational security trade-craft that might have prevented the revealing of the source. It leaves one scratching the head if this was intentional or just sheer incompetence. Either way – the incident confirms what skeptics had long determined: The Intercept is not a trustworthy outlet for leaking state secrets of public interests. Readers can follow the links provided and draw their own conclusions. There has also been lots of buzz about Megyn Kelly’s new debut show on NBC and the exclusive interview she conducted with Vladimir Putin during the recently concluded St. Petersburg International Economic Forum. The final edited version that was shown on NBC can be viewed here. However, a longer version of the interview can be watched here in which it is clear that the version that appeared on NBC edited out a few things, which makes one wonder why they chose to do so. Note that the last question in this version, which did not appear in the NBC version at all, has to do with Kelly’s conversations with Russians who all noted that Putin has brought Russia back to a respectable place and how the presidency for the last 17 years has affected him personally. Putin’s answer is very insightful and humanizes Putin by providing some contextual background of who he is and his connection to the country he governs. Even Kelly is not unmoved by it. Another item left out of the NBC version is part of Putin’s answer to Kelly’s question about his response to those in the West who view Russia as a country lacking in democracy and human rights. The partial answer that NBC omitted has Putin discussing the U.S. government’s response to the Occupy Wall Street movement and pointing out that Russian police have not resorted to the use of tear gas and other more serious weapons to quell protests. Hmm. In a conversation with the Today Show’s Willie Geist, Kelly acknowledged that she spent a good amount of time with Putin and that off-camera, Putin was warm, polite and personable. Of course, on camera, in the more combative debate style interview, he was sharp and argumentative. This is consistent with the characterization that many people who have actually interacted with Putin have provided – polite and honest but also intelligent, gets things done and doesn’t take any crap. It’s a combination that makes him popular with the average Russian. And if he were an American leader, it would no doubt make him popular with average Americans. It’s why a majority of Russians are ready to re-elect Putin for another term as president, according to the independent Levada Center. I must also add that, based on my conversations with Russians during both of my visits there, the majority of them do not view Putin as a dictator – they know what real dictators look and act like. Putin is considered a strong leader who gets things done. This is not to say that Russians are totally uncritical of Putin either or that they are afraid to express any criticism of Putin – that was not my experience during either visit. But this whole narrative that Americans are bombarded with from corporate media and mainstream politicians about Russia being an autocracy and Putin being some kind of new Stalin should be viewed very skeptically, to say the least. From what I’ve been able to glean, most Russians would laugh at anyone who seriously tried to compare Putin to Stalin and would think them profoundly ignorant. 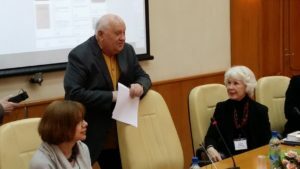 In the meantime, readers can view a sneak peek from the recent delegation of Americans who visited Russia, organized by Sharon Tennison of the Center for Citizen Initiatives. 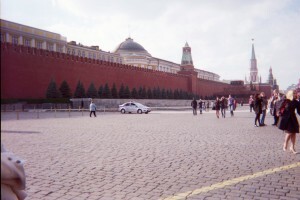 Sharon’s group arrived in Moscow just as I was leaving the capital for St. Petersburg. 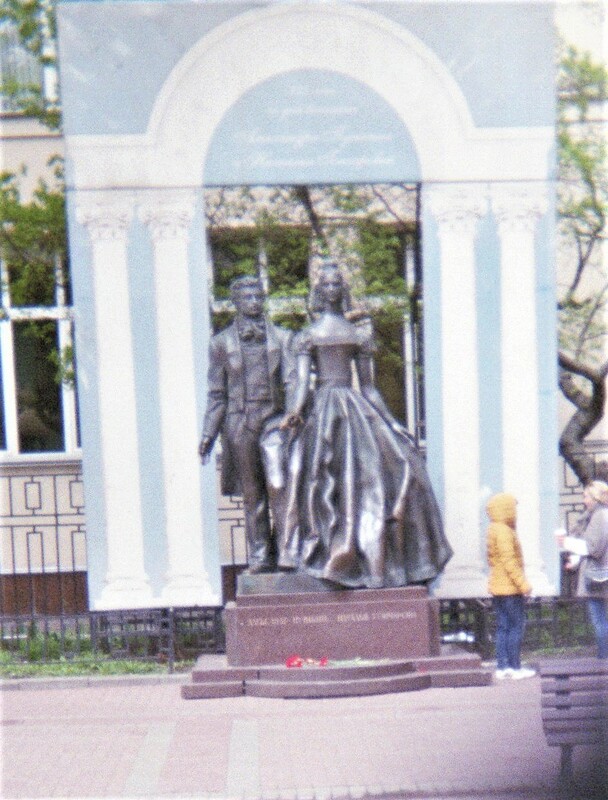 Over the past fifteen years very few Americans have traveled to Russia. Most who did were on cruise ships who met tour operators and a few local people where they docked. Hence there has been little real information about what is actually occurring throughout Russia as the world’s largest country continued to evolve from the bleak Soviet and Yeltsin years which ended in 2000 when Vladimir Putin came to power. CCI, the largest citizen diplomacy organization between the two nations, determined this year to carry out a first-ever “information-gathering” delegation of American citizen investigators who simultaneously would travel to ten major Russian cities to learn what is happening across Russia––since any type of allegation can be made in U.S.mainstream media and none will know whether it is truth or misinformation. An invitation was released in January 2017 for “up-to-100 mainstream Americans” to self select for this purpose. Some 80 persons applied and by the end 30 citizen investigators made it through the process to travel. They understood there would be no scheduled museum or palace tours––only intense meetings with Russian peoples and experts of all persuasions in areas as far out as mid-Siberia. 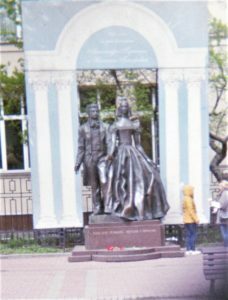 These cities included Moscow, Novosibirsk, Ekaterinburg, Krasnodar, Kazan, Volgograd, Simferopol, Sevastopol, Yalta and St.Petersburg. In Moscow travelers would have only formal meetings with Russian experts such as President Mikhail Gorbachev, ballistic weapons specialist Vladimir Kozin, Russia’s all-time TV Icon Vladimir Pozner, national journalists, and several specialists in business, private health care and international finance. Delegates submitted their questions for each expert a month in advance of these meetings. CCI summarized the queries and sent the final list to each of the experts. For instance President Gorbachev was given 19 questions, Pozner 29 questions, the others varying numbers of inquiries. This was likely a rather unexpected procedure, but we didn’t wish to sit through stock presentations––we wanted specific information from each specialist. The expert meetings were two hours each. Most of the speakers arrived with their lists of questions in hand to keep themselves on target. Presentations were to the point. After two hours, the speakers and Americans weren’t ready to part; excitement filled the conference rooms as both sides clamored to get the last bits of information asked or answered before parting. Some experts stayed on for lunches or dinners where additional informal give-and-take was possible. The rift with Qatar, it’s really a campaign against Qatar led by Saudi Arabia and United Arab Emirates, and it was triggered by Trump’s visit to Riyadh last week as part of his tolerance tour where he called for an Arab NATO, which really shows how he views the region, the Middle East, in a sectarian lens, the same way Saudi Arabia does, and demanded Sunni unity against Iran and its allies in the region. So Qatar wasn’t seen as on board, and the Saudis wanted to go after Doha. Trump has not just claimed credit for what could potentially be a really catastrophic escalation in hostilities within the Persian Gulf, but he has ratified the extremely aggressive posture of Saudi Arabia with this tweet. I don’t know if Trump is reflecting some of the discussions in his National Security Council. It does seems like the Bannon faction of the Trump administration, the supposedly America First faction, and the Kushner faction, the more internationalist, interventionist faction that’s pro-Israel and very favorable to Saudi Arabia, are actually aligned on this issue of hostility to Qatar. Because for the Bannon faction, they get to push the Muslim Brotherhood ban again, which they’d been wanting, and which is something that the UAE desperately wants. And Saudi Arabia, of course, wants it because the Muslim Brotherhood in Egypt is one of Qatar’s main proxies, and in the Gaza Strip, their cousins in Hamas. Then the Kushner faction gets the isolation, if not the total elimination, of the one force in the Persian Gulf, Qatar, which hasn’t been on board with the Israeli-Saudi de facto alliance. So this is good for Israel in many ways. Israel’s come out openly along with Trump and supported what Saudi and UAE are doing to Qatar. Trump, by doing this, however, has really done serious damage to what I think the Pentagon and the State Department are attempting to do to quell tensions. The Pentagon and the military has not stepped away from Qatar one bit. The CENTCOM has a forward command station inside Qatar, as well as there’s an Air Force base. They do not want to give these up. So Trump is seriously complicating American interests in the region by kind of letting the cat out of the bag. ….I think Qatar understands, especially as a smaller country but one that produces an enormous GDP, has the highest per capita income of any country in the region, that they can punch above their weight if they don’t do exactly what the US wants, and if they embrace, excuse me, a policy of what you could call strategic hedging. So Qatar kind of is friends with everyone. They maintain relations with Iran. They are funding the Muslim Brotherhood. They’re welcoming dissidents from Egypt, mostly from the Muslim Brotherhood, but there are secular dissidents from Egypt being hosted inside Qatar. And in Syria, what they’ve done is support groups that are actually more extreme than the proxies that even Saudi Arabia has directly supported. We’re talking about direct overt support. So here we’re talking about Jabhat al-Nusra, the al-Qaeda faction, which Saudi Arabia has supported Jaysh al-Islam, which doesn’t have this international jihadist tendency. The reason they do all that is to project their influence wherever they can and to suppress opposition because if they’re paying all these different forces off, and they maintain a relationship with Iran, they’re not going to be opposed. That makes it harder for Saudi Arabia to get them on board with Sunni Arab NATO, and they’re seen as sort of a bad player right now, especially with the new king and crown prince in Saudi Arabia who want to take an aggressive position to Iran that’s sort of unprecedented. No relations with Iran, just total hostility. So that’s come to a head this week with the aerial and land blockade of Qatar, which I really … It’s kind of shocked me. I think if it weren’t for the US military installations there, and were the US military and the State Department, the diplomats not standing by Qatar, you can imagine them being overrun by the Saudi military much as Kuwait was overrun by Saddam Hussein’s military. ….One of the trigger points for Saudi hostilities against Qatar was discussed in the Financial Times by Erika Solomon. I think she laid it out pretty well, but it’s been sort of well-known for a while. In 2015, a party of about 26 Qatari royals was kidnapped. They were a hunting party in Iraq. The kidnapping was a sort of clever device by Iran and the Qataris to carry out a series of diplomatic moves. First of all, Qatar agreed to a $700 million payment to Kata’ib al-Hezbollah, the Shia militia linked to the Iranian government that carried out the kidnapping. At the same time, they paid $80 million to Ahrar al-Sham, a Salafist militia inside Syria dedicated to overthrowing Bashar al-Assad and hostile to Iran. And 120 million more to Hay’at Tahrir al-Sham, which is an al-Qaeda affiliate in Syria. So what’s going on here? Why did they pay both sides? Well, this is consistent with their policy of strategic hedging. But it also was part of Qatar trying to exert its diplomatic muscle because it allowed for the evacuation of two Shia towns under siege by Sunni militias in Syria and two Sunni towns, which were opposition towns under siege by the Syrian government. So the payment took place under the cover of this evacuation deal of these four towns. When Saudi Arabia found out about it, they were furious because $700 million went through the Iranian government from Qatar. That’s a massive cash infusion that actually empowered the Syrian government. The reason they had to kind of pay off the jihadists and Salafist militias as opposed to Assad is to say, “Look, you guys get some, too.” So it actually wound up escalating the conflict. It demonstrated to Saudi Arabia that Qatar was just not on board with Sunni NATO, with opposing Iran at all costs and ramping up hostility. So I think this came to a head, I think, a week ago or so when Qatari state media contained a report that showed the Emir stating his refusal to break off relations with Iran. Qatar said this was hacked, but it could have been very well been something that the Emir said. In any case, the media war led to a political war, and now we stand on the brink of a hot war…. There are also reports that Saudi Arabia has given Qatar, via the Kuwaiti government, an ultimatum with a 24-hour deadline to agree to a set of demands, including cutting off all ties to the Muslim Brotherhood and Hamas. Other details of the ultimatum remain sketchy, but recent reports claim that Qatar has moved its military to high alert in order to defend against any potential invasion. Turkey is also reportedly preparing a bill to provide both civilian and military aid to the embattled Gulf nation. Qatar, which is heavily dependent on food imports, is also in negotiations with Iran to possibly provide food aid since being blockaded by Saudi Arabia and other GCC countries. In Iran terrorist attacks have targeted the Majlis (Iran’s parliament) and the shrine honoring the late revolutionary leader Ayatollah Khomeini, killing 12 people and wounding many others. ISIS has claimed responsibility for the attacks. Suicide bombers and gunmen attacked the Iranian parliament and the Mausoleum of Ayatollah Khomeini in Tehran on Wednesday, killing at least 12 people in a twin assault which Iran’s Revolutionary Guards blamed on regional rival Saudi Arabia. Islamic State claimed responsibility and released a video purporting to show gunmen inside the parliament building. It also threatened more attacks against Iran’s majority Shi’ite population, seen by the hardline Sunni militants as “heretics”. ….They were the first attacks claimed by Islamic State inside the tightly controlled Shi’ite Muslim country, one of the powers leading the fight against IS forces in nearby Iraq and Syria. Iranian police said they had arrested five suspects over the attacks and the country’s supreme leader, Ayatollah Ali Khamenei, struck a defiant tone. “These fireworks have no effect on Iran. They will soon be eliminated … They are too small to affect the will of the Iranian nation and its officials,” state TV quoted him saying. Khamenei added that Iran, which is helping Syrian President Bashar al-Assad fight rebels including Islamic State fighters, had prevented worse attacks through its foreign policy. The powerful Islamic Revolutionary Guard Corps accused Riyadh of being behind the attacks and vowed to seek revenge. Saudi Foreign Minister Adel Al-Jubeir, speaking in Berlin, said he did not know who was responsible for the attacks and said there was no evidence Saudi extremists were involved. The U.S. State Department and U.N. Secretary-General Antonio Guterres both condemned the attacks.